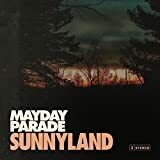 A little band from Florida who got their start selling CDs in the parking lot at Warped Tour, Mayday Parade are set to release Sunnyland on Friday, June 15, 2018, thanks to Rise Records. Next stop? Ye olde stomping grounds, the Warped Tour, of course, but you won’t find them in the parking lot this year! With over a million albums sold and a loyal fanbase that includes such noteworthy individuals as Halsey and Machine Gun Kelly, Mayday Parade are the little band that could. Formed in Tallahassee, Florida, around 2005, the quintet would release their full-length debut, A Lesson in Romantics, in 2007, before the departure of Original Vocalist Jason Lancaster. Soldiering onward, the band would release another four albums – from 2009’s Anywhere but Here to 2015’s Black Lines – over the next eight years, at a dedicated pace of one new release every two years. Determined lovers of their craft, the boys have shared stages with everyone in the scene, including (but hardly limited to) PVRIS, Tonight Alive, All Time Low, Plain White T’s, The Maine, and We the Kings. They are, as previously mentioned, Vans Warped Tour veterans and will be rocking stages all summer long on the grand finale, 2018 run of the tour. 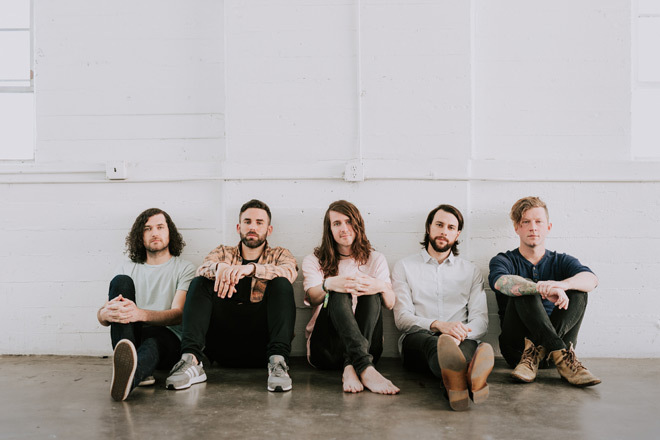 Now, Mayday Parade – Vocalist/Keyboardist Derek Sanders, Guitarists Alex Garcia and Brooks Betts, Bassist Jeremy Lenzo, and Drummer Jake Bundrick – are ready for the next chapter in their ongoing story, their sixth full-length, Sunnyland. While the 13-song collection marks the band’s Rise Records debut, it continues the band’s legacy of melodic, dangerously catchy Pop Rock that is embedded with the finest points of all things Pop Punk. Sunnyland begins with “Never Sure,” a boppy little rocker about the highs and lows of having your heart torn out and put into a mason jar on the bedside table (“I only love you for the heartbreak”). Taking a page from the Fall Out Boy guide to titling songs, Mayday Parade present “It’s Hard To Be Religious When Certain People Are Never Incinerated By Bolts of Lightning.” Say that one five times fast! Clearly, the track is fraught with biting sarcasm and blatant loathe (“Everyone knows what a selfish prick you’ve become”), which is also a key tenant of the FOB way, but here, as with the entirety of the album, Mayday Parade retain their own sound. The steady beat and infectious sway of “Piece Of Your Heart” (“But I want the whole damn thing!”) promises that love can weather distance, while Mayday Parade rock out on “Is Nowhere” (“This love it speaks, tells a different story”), allowing Sanders to truly soar, vocally speaking. The grit and heart here is infectious, proving that this band knows a little something about owning your eardrums. “Take My Breath Away” starts with acoustic guitar and vocals before building into a gently atmospheric, hauntingly emotional ballad about trying to find a way to survive a complex relationship, a burning fury that leaves you feeling like the victim of a drowning (“I’m terrified cause I’ve lost my fear of doubt”). They bounce back up for the catchy “Stay The Same,” a glittering rocker that wonders why nothing gold can stay (“When the season ends you’ll be all alone, wondering why things can’t just stay”). Furthermore, the track promises that, though life is full of changes, it is, in fact, okay to always be yourself. So, while so many of their contemporaries are authoring insincere anthems in the name of individuality, Mayday Parade have inadvertently created something that hits much harder in the feels. Which, you know, is where it counts! They keep rocking with the bass-licious “How Do You Like Me Now” (“Does he taste like me when you’re caught up in the undertow?”) before they dip into the strings and layered harmonies of “Where You Are” (“My favorite place is wherever you are, but I don’t know where you are”), a gently poignant ode to a lost love. Then, in the spirit of the best of Pop-Punk, Mayday Parade tackle “If I Were You” (“I’d sing those songs that we used to sing when it’s 3 AM and I’m lonely”), a dangerously catchy warning that you should probably relocate, reinvent yourself, and well, be anything but you. The catchy “Satellite” (“We could fly away, set a course straight into the sun”) has the gentlest echoes of Andrew McMahon (“Cecilia and the Satellite”) in its steady, loving pace, while mid-tempo rocker “Looks Red, Tastes Blue” wishes to never wake from the dream if nothing lasts forever (“If I pinch myself so that I wake, that means it never really happened”). They near the finish line with the acoustic, Folk-slanted “Always Leaving” (“To me it always seems that I am leaving”), displaying the maturity and beautiful musicianship of Mayday Parade and crafting an ode to a (touring) life spent in goodbyes. Ultimately, they end with a wish to return to happier times, the bittersweet reminiscence of “Sunnyland,” where acoustics and strings – including a beautiful cello accompaniment – sing of the fruitless hope of returning to the sunshine of childhood (“Gravity took something from your life”). Drawing from so many of the Pop Punk masters (Something Corporate to Good Charlotte, to Fall Out Boy), Mayday Parade have authored a unique blend of melody with grit that rocks and rolls through a plethora of emotions. Though they are often billed as the aforementioned Pop Punk which, sure, makes some sense, the quintet certainly embraces all things melodic Pop Rock – with some Punk attitude embedded in their harmonic layers – but there is also a finer-tuned sense of Folk Pop storytelling. Ultimately, that just makes Mayday Parade a little something left of center: a group of talented musicians who weave touching stories of the heart, yet who can still get pissed off and wish lightning on their foes. 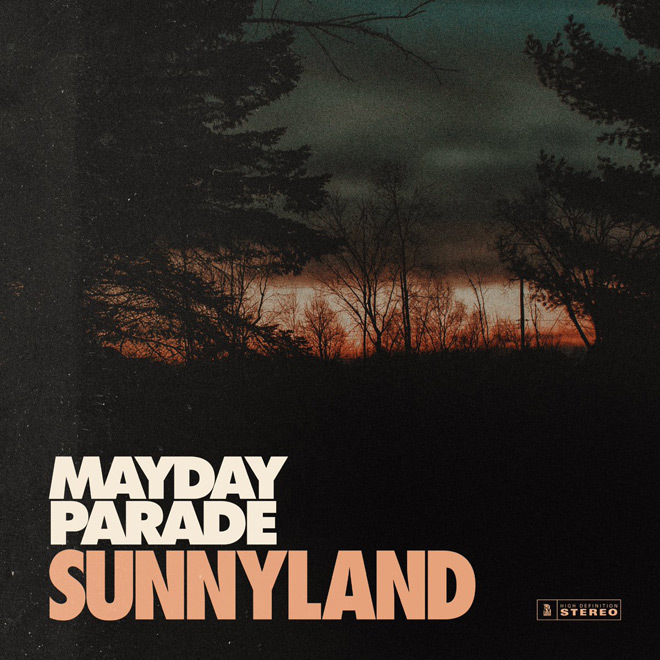 Happy to spit daggers while wearing our hearts on our sleeves, CrypticRock give Mayday Parade’s Sunnyland 4.5 of 5 stars.